Tronclean is the best available non-freon contact cleaner and Degreaser. 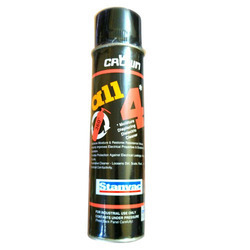 Odourless & Evaporates quickly without over freezing & leaving residue. We are highly delightful in presenting an optimum yield of Electrical Contact Cleaner to our customers at the best of market rates. Quantity Per Pack: 500 Ml. 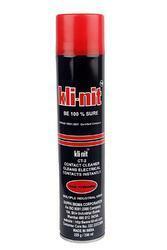 We are offering Electrical Cleaner Spray (AEC - 2501). It is used to clean fine particulate matter from metal and metal parts. The solvent in Electrical Cleaner Spray (AEC - 2501), with its lower viscosity and higher density results a thin boundary layer which improves cleaning. Acton’s Dirtonator Cleaner is a super concentrated versatile cleaner that can be used to clean, sanitize and deodorize floors, walls, glass, toilet bowls, urinals, bathtub, mirrors and wooden tables.